While the evidence for black holes is pretty conclusive, the extreme nature and odd physics of black holes has encouraged skepticism about their existence in certain circles. While highly dense objects exist, they argue, that doesn’t mean such objects are black holes. On some level they have a point, because there are proposed objects that are black-hole like, but not true black holes, such a gravastar. 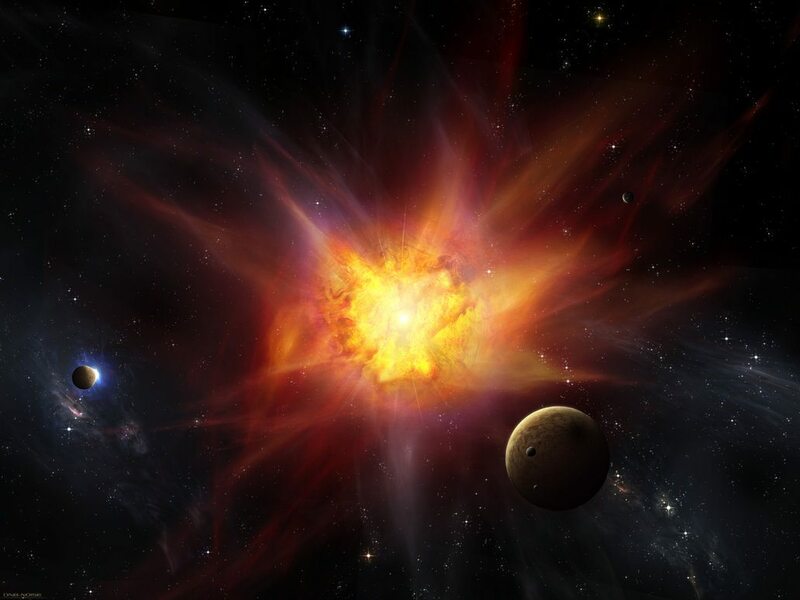 A gravastar is an extremely dense object where the behavior of quantum gravity somehow kicks in to prevent the formation of a singularity and event horizon, which are the most contentious aspects of black holes. In some models it is assumed there is a minimum scale (Planck length) where gravity stops functioning in the usual way, while in others dark energy kicks in at small scales to prevent the formation of a true black hole. In either case a gravastar would look quite similar to a black hole. When gravitational waves were detected this year, it was seen as definitive proof of black holes. 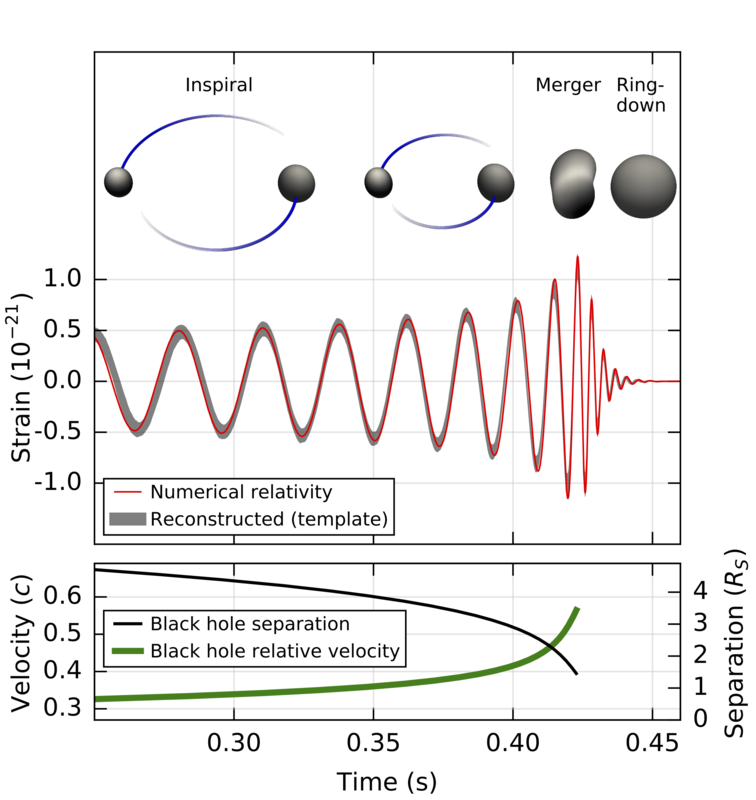 The gravitational “chirp” and ringdown detected by LIGO was an exact match of a black hole merger, and even allowed us to determine the masses of the initial and final black holes. It confirmed the existence of gravitational waves, which was the last great prediction of general relativity. Since general relativity predicts black holes quite clearly, the result is pretty definitive. But it is true that black holes should depend upon quantum gravity, which we don’t yet fully understand. If quantum gravity resulted in gravastars, would the LIGO detection look any different? It turns out the answer is yes, but not in a way we can currently detect. According to the models, gravastars are so dense they have collapsed almost to the point of being a black hole. The merger of two gravastars would still have a chirp and ringdown of gravitational waves. The ringdown of a gravastar merger would differ slightly from that of black holes, but only at the tail of the ringdown. Of course that part of the ringdown seen by LIGO is buried in the background noise of the data. Thus, the gravastar supporters would argue, the LIGO event detected either a gravastar or black hole merger, but can’t distinguish one from the other. Does that mean the existence of black holes is in limbo? Personally I don’t think so. While gravastar models argue against black holes, there’s no compelling argument for gravastars. While they do resolve certain theoretical conundrums black holes have, gravastar models have problems of their own. Not the least of which is the fact that they depend upon heuristic arguments of quantum gravity that may or may not be valid. So on the whole I don’t find the gravastar model particularly compelling. There’s also the risk of playing the denialism game regarding black holes, where no amount of evidence will ever be seen as sufficient. To be clear, I don’t think gravastar supporters are playing the denialism game. It is good to be skeptical of new work, and the gravastar model is one way to test the limits of our observations. That’s all part of the challenge of doing science. Wouldn’t the gravastar model be stable only in a very small window of mass? I would think the addition of new material to such a model would overcome “quantum gravity” effects and collapse to something recognizable from the prediction of GR.